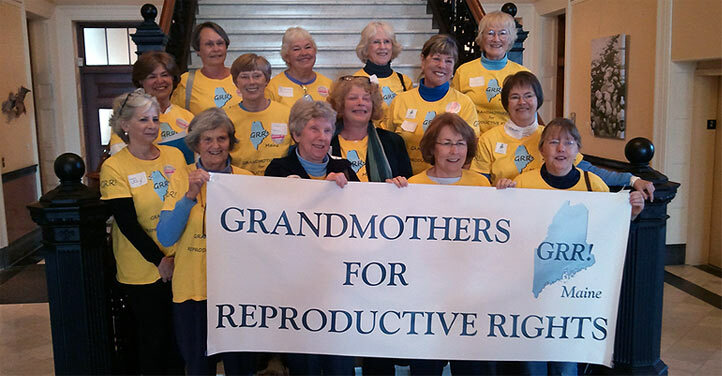 At the 2018 Birds & The Bees Spring Soiree, coming up on Saturday, Maine Family Planning will proudly bestow the David and Sherry Huber Award to our friends at Grandmothers for Reproductive Rights (GRR!) — a homegrown reproductive rights organization just like us, working to preserve a legacy of choice, access, and Mainers’ right to make decisions about their own health care. We established the Huber Award to honor groups and individuals deeply engaged in the fight for reproductive health, and GRR! certainly fits that bill. Its members grew up in the ’50s, ’60s, and early ’70s, in the days when women in this country had little or no access to birth control and abortion. Significant progress has been made since then, but with a hostile administration in Washington, DC, that progress is in danger of being eroded. These grandmothers won’t stand for their hard work being erased. Come Get Jazzed with us and GRR! on Saturday night! In addition to celebrating our guests of honor, we’ve got scores of amazing silent auction items lined up — everything from swanky overnight getaways to a huge variety package of fireworks. Plus our fantastic raffle, offering the chance to win a five-day excursion to New Orleans! All proceeds benefit Maine Family Planning programs and services. Check out our Facebook event page for a taste of what else is in store.